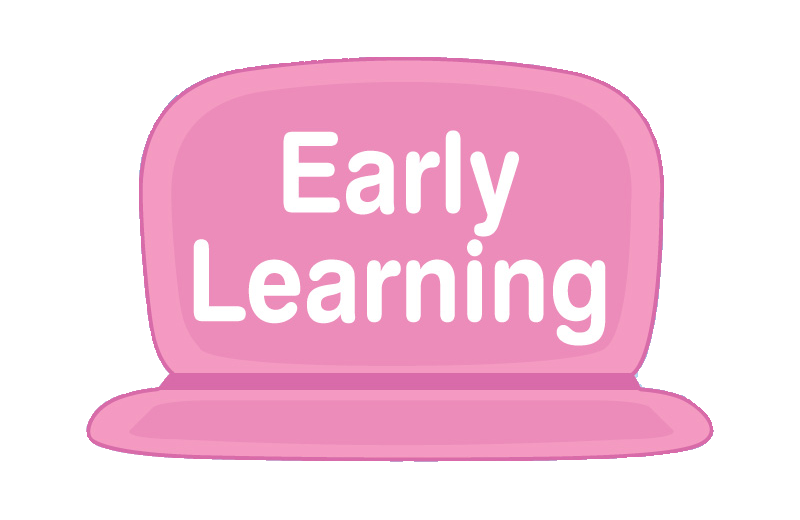 Now available in mini sizes. 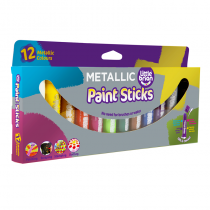 Paint sticks are extremely versatile and can be used for a range of techniques – blending, stamping, colour washing, scraping and dotting. Now available in mini sizes. 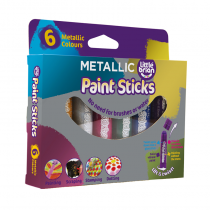 Paint sticks are extremely versatile and can be used for a range of techniques – blending, stamping, colour washing, scraping and dotting. Experiment with different effects, and create water colour pictures by gently brushing water over the picture. 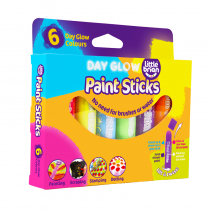 Paint sticks are used just like glue sticks and allow vivid colours to be transferred directly onto a range of surfaces - canvas, wood, paper, card and even glass. 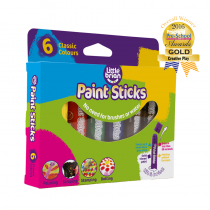 Paint sticks are loved by children and adults alike. 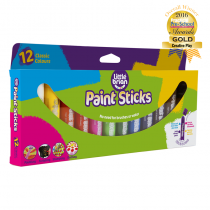 Paint sticks are perfect for early years, key stage 1 & 2. No need for brushes, water or the usual mess that comes with painting. Pick your colour, lift the lid and twist, unleash your creativity and when finished just pack away - no mess! 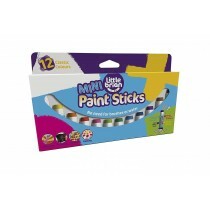 paint dries quickly within minutes. 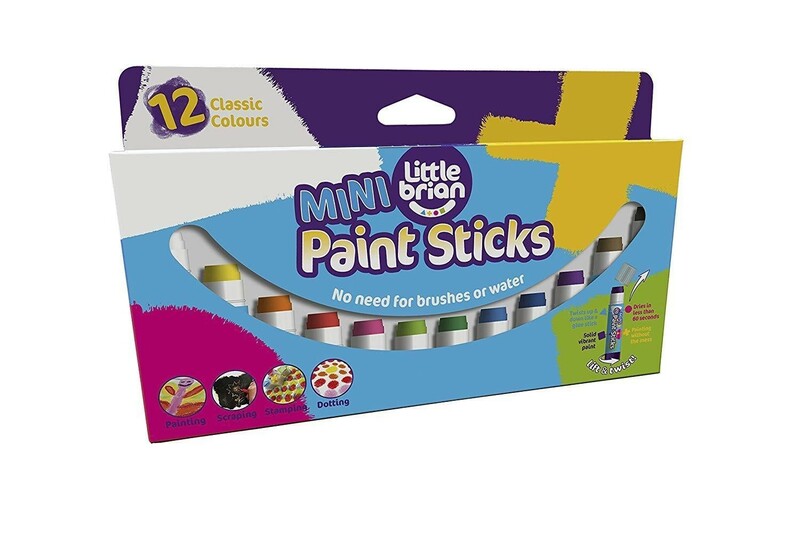 This fantastic set includes 12 vibrant colours from the Little Brian range of paint sticks for 3 years and over.